Canada is one of the leading mining countries and one of the largest producers of minerals and metals in the world. It produces about 60 different minerals and metals, and ranked in the top five countries in the global production of 13 major minerals and metals in 2017. Metals mines – such as those mining gold, copper, nickel and zinc – account for two-thirds of the value of major mining-related projects. 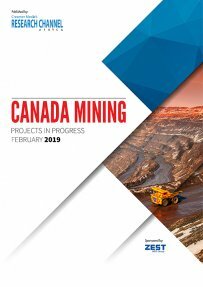 In this inaugural edition of Creamer Media’s Canada Mining Projects in Progress, we present a selection of these mining projects announced over the past few months, including those in the preliminary economic assessment/scoping study phase, prefeasibility and bankable/definitive feasibility study phase. Published on: 04 February 2019.